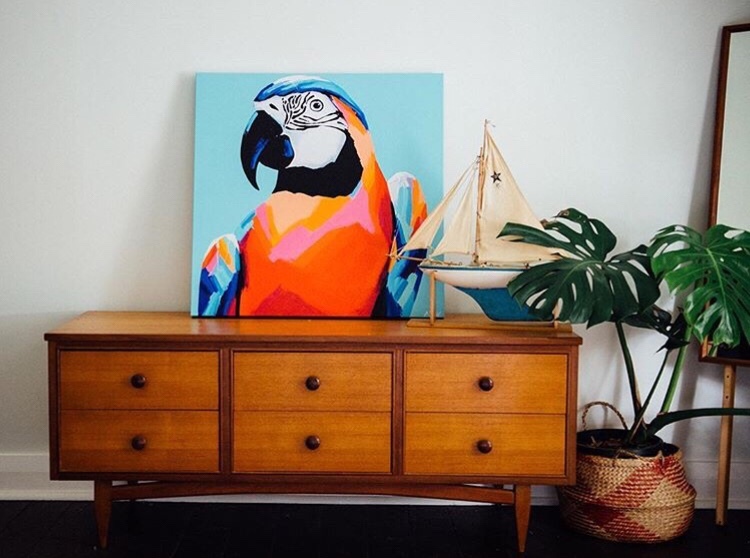 Something I have talked about a lot on the blog, is my love of color, especially in the home. 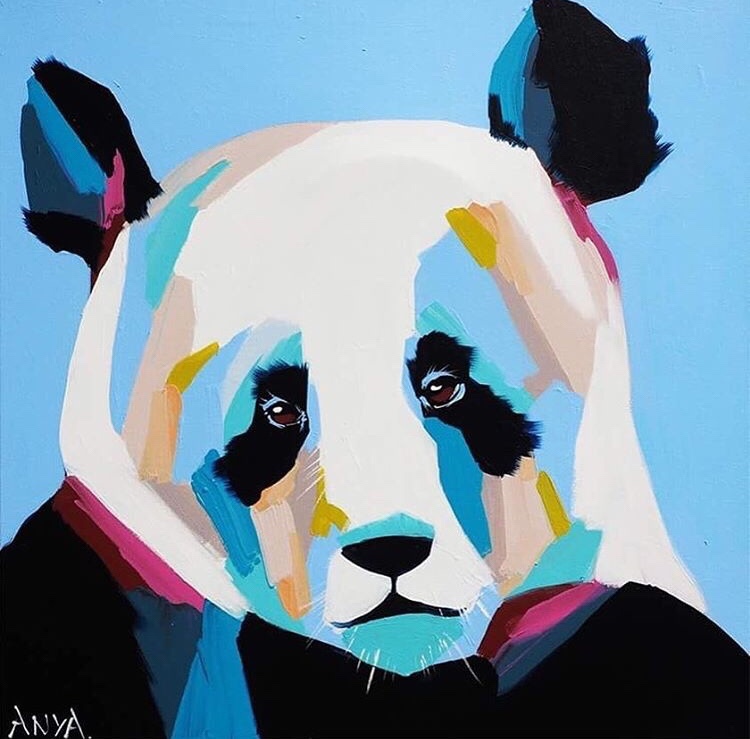 What I haven’t mentioned is that for some time now I have also been obsessed with any and all art that involves color and animals. 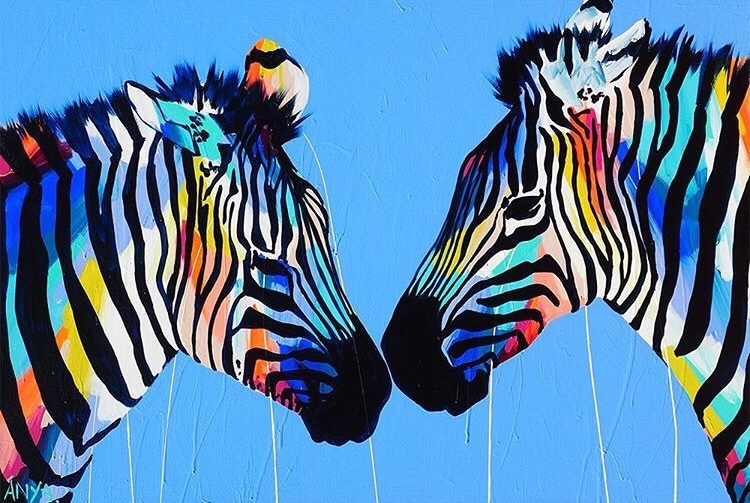 In fact, my favorite piece of art at home is my colorful Zebra named Pierre. 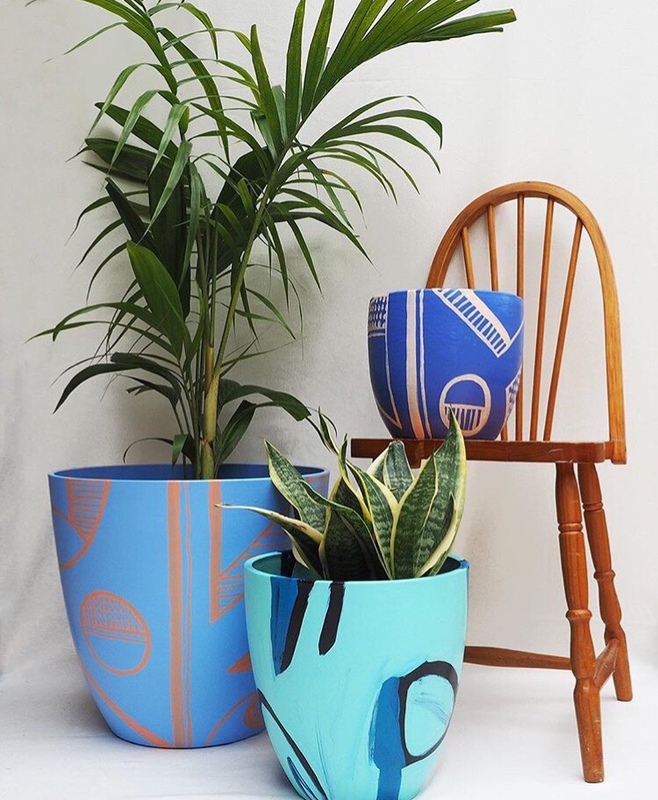 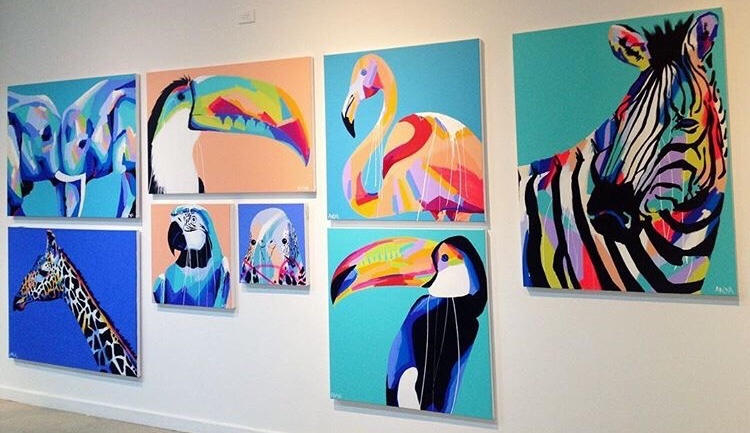 I have also been OBSESSED with the artist Rachel Brown for a while now and always get overly excited when I see her work. 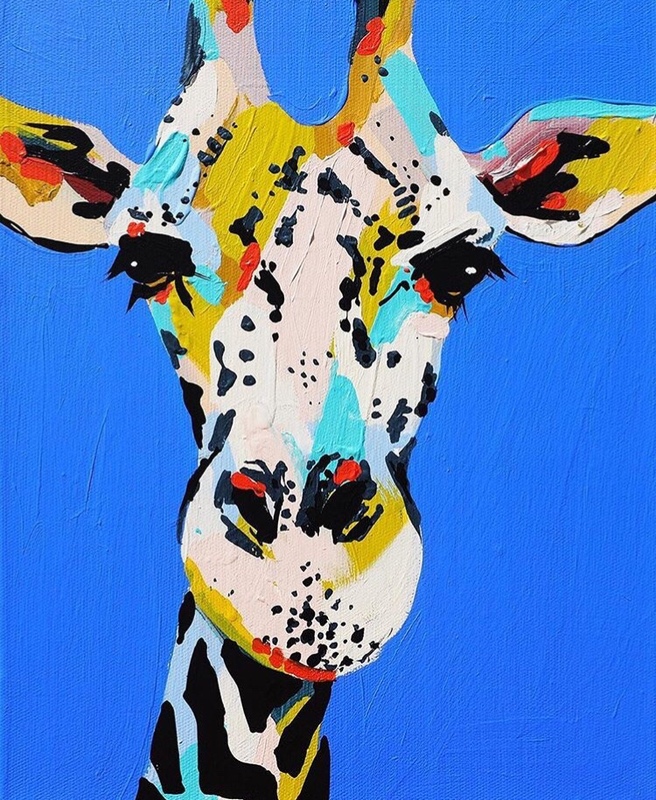 What I wouldn’t give for her one of her Llama paintings, or is it an Alpaca? 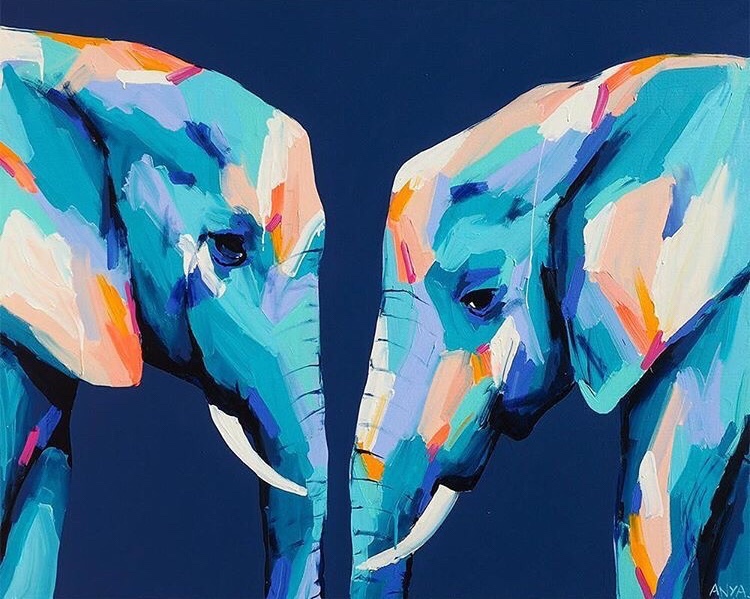 I can never tell the difference between the two! 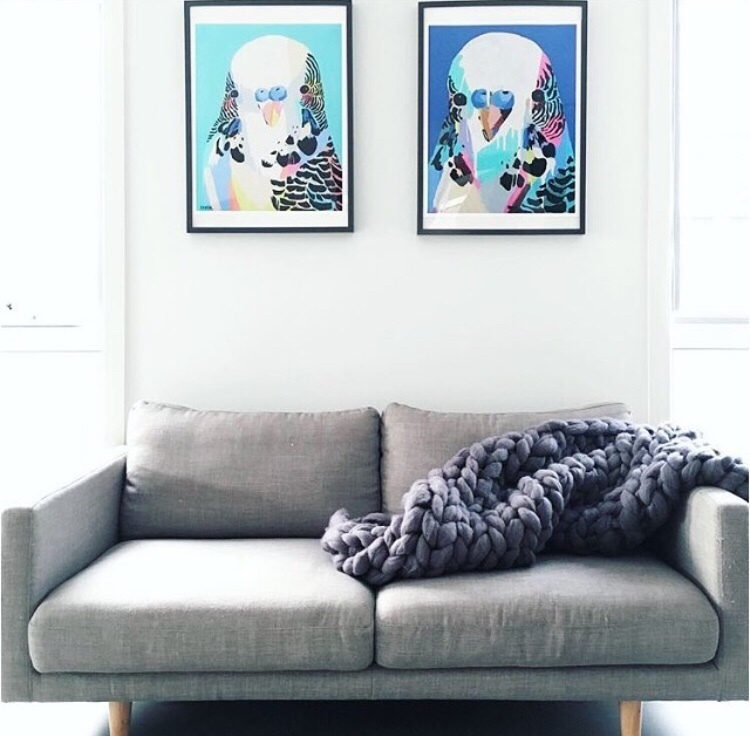 Recently, I posted an interior decor shot which included art by Anya Brock. 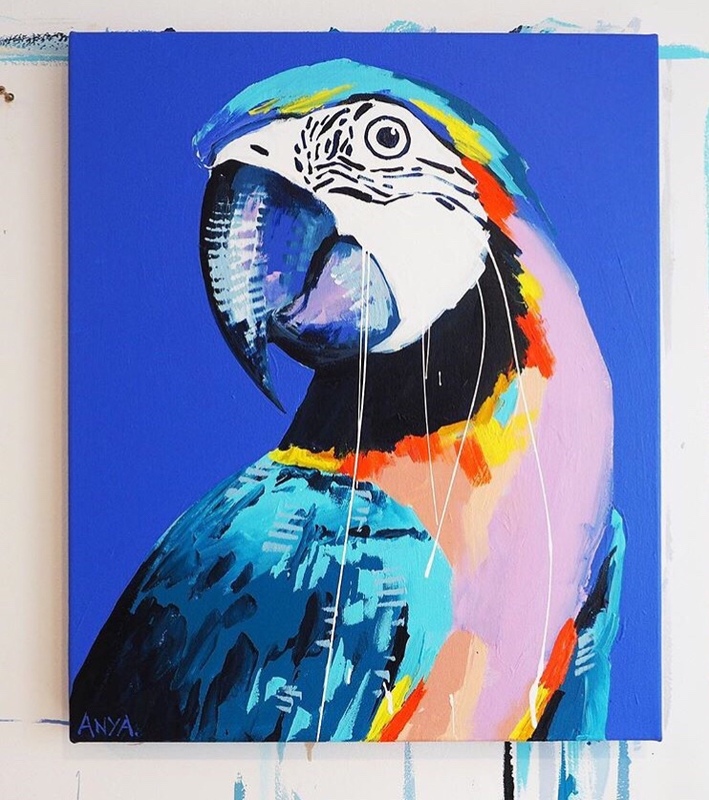 I follow too many people on Instagram, so after posting I didn’t have the chance to look at her work further. 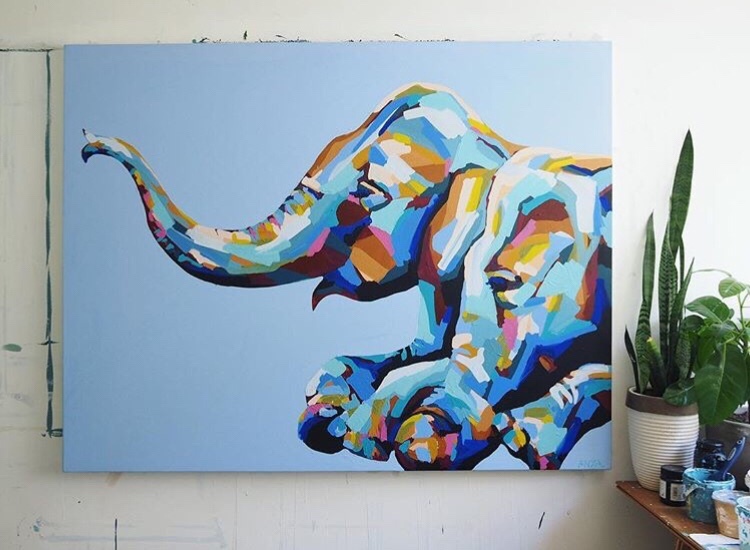 But when one of her paintings (of my favorite animal too, elephants) finally popped up in my feed last night, I clicked on the link to her website and I fell head over heels in love with her art. 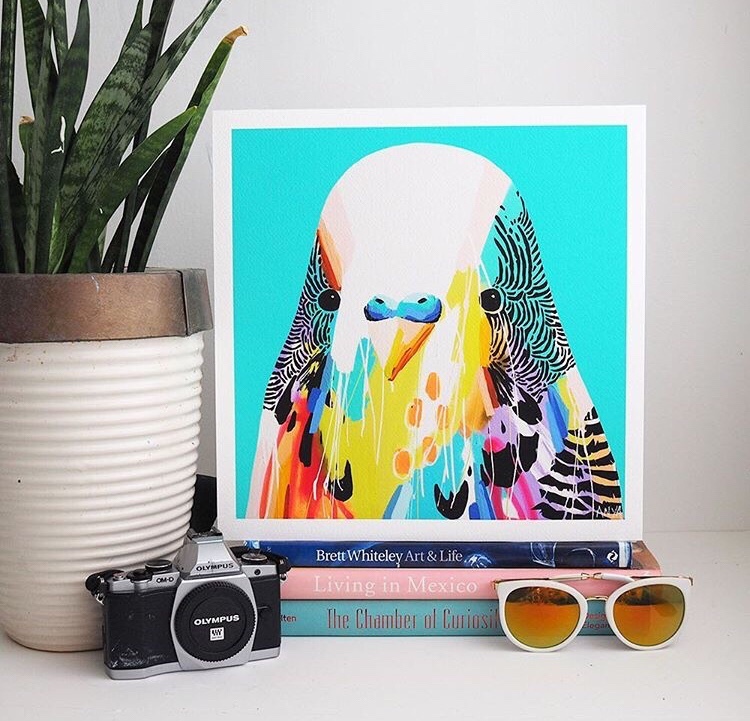 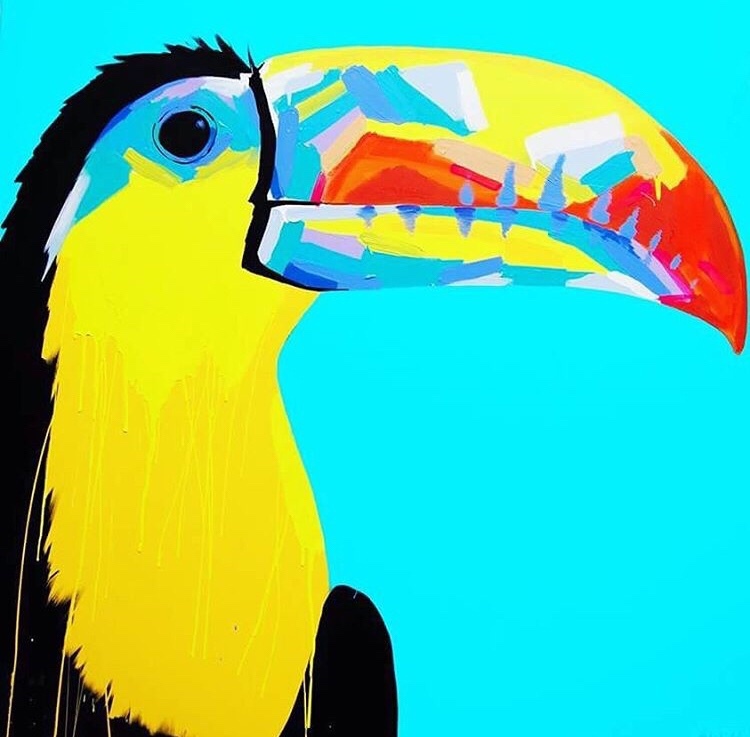 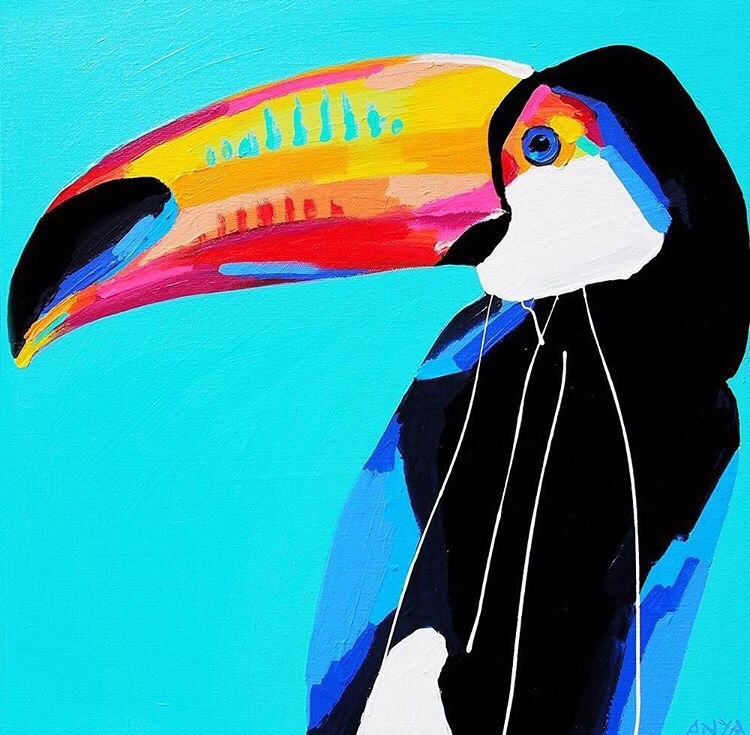 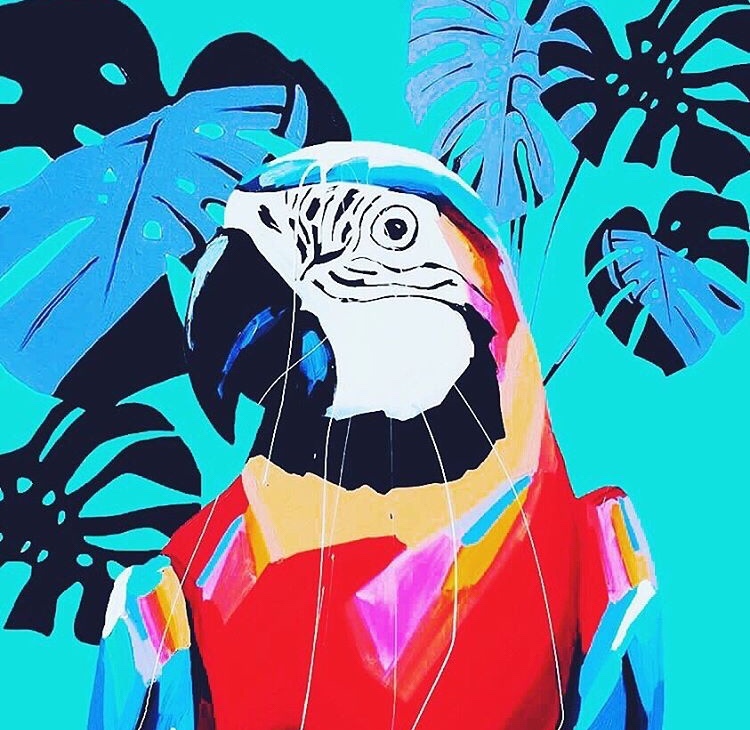 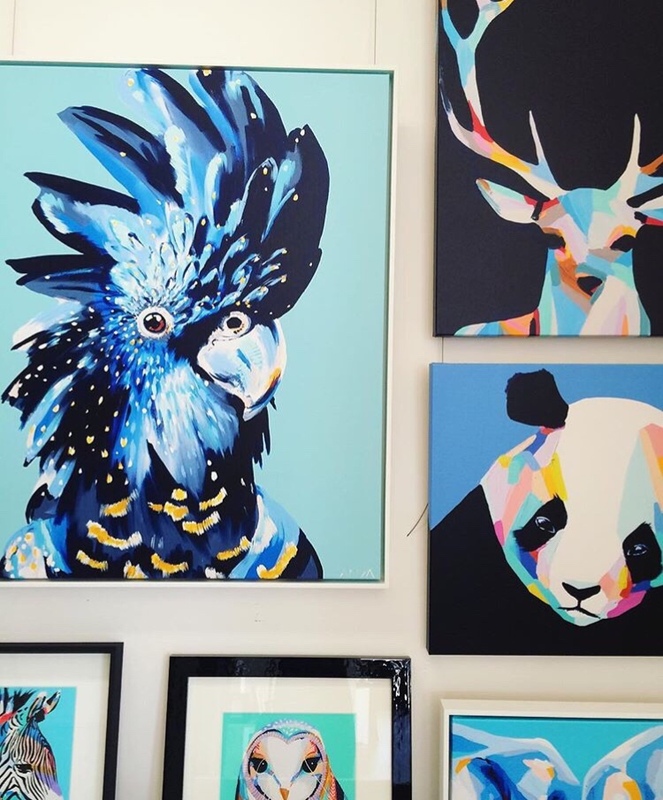 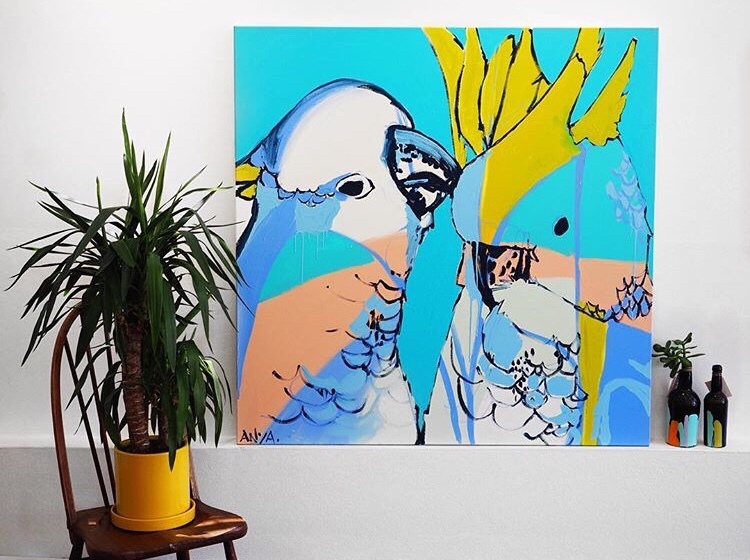 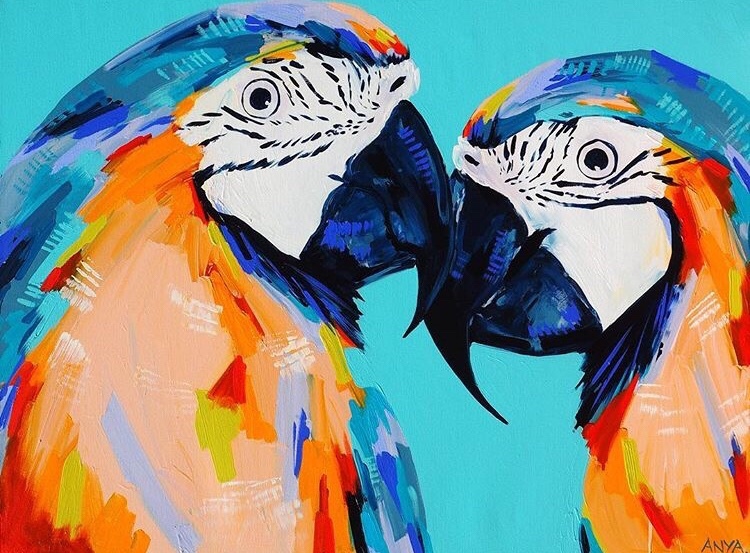 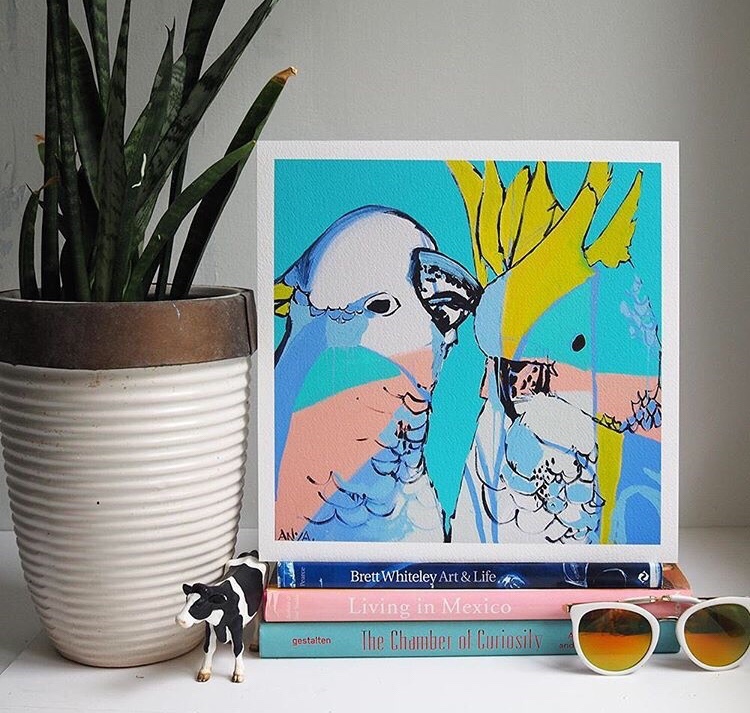 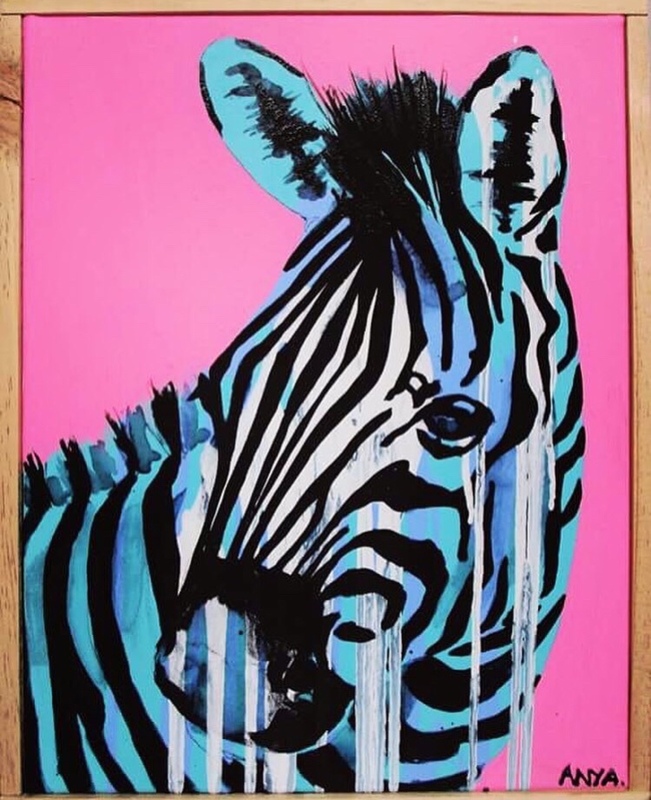 Bold Colors + Animals = My absolute dream come true on Canvas. 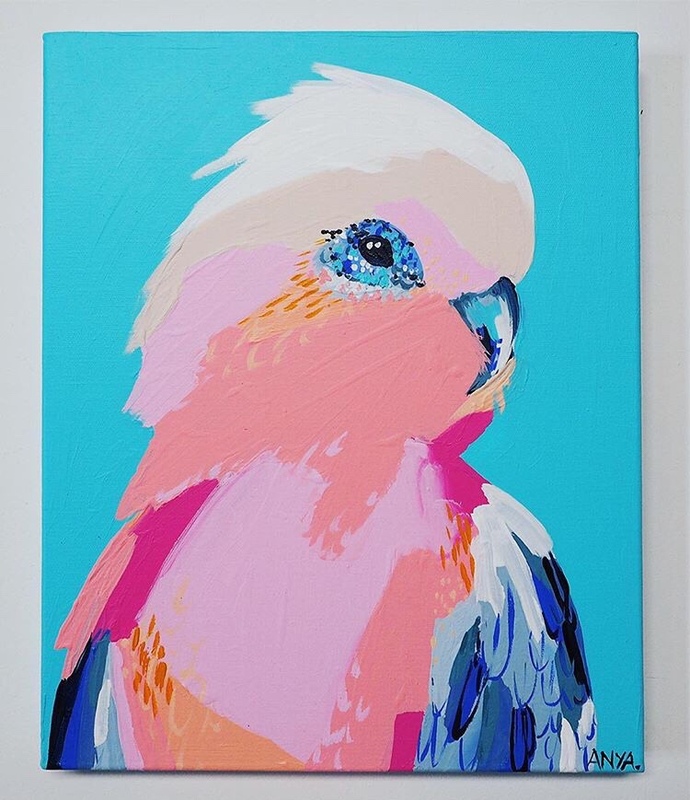 Her use of color is phenomenal, it’s the perfect addition to any space! 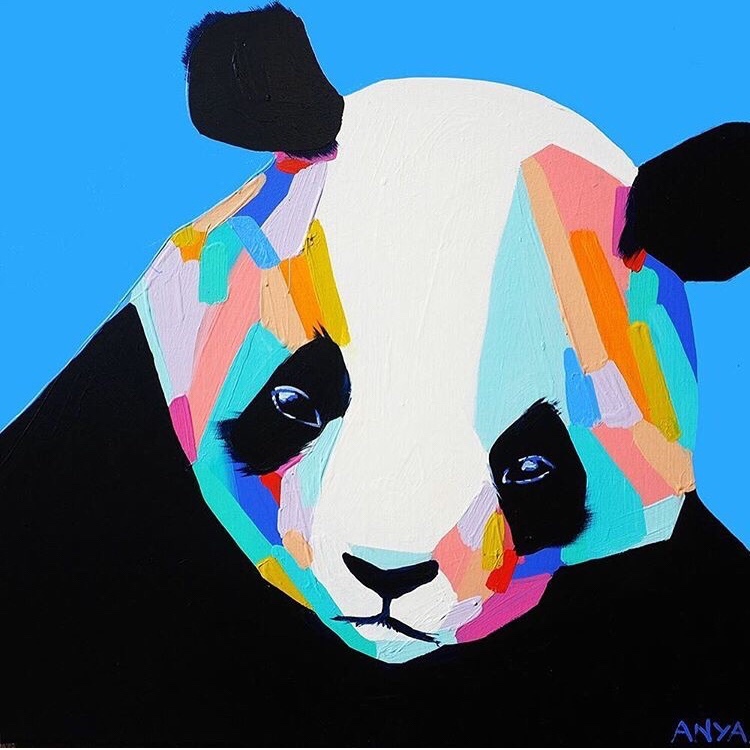 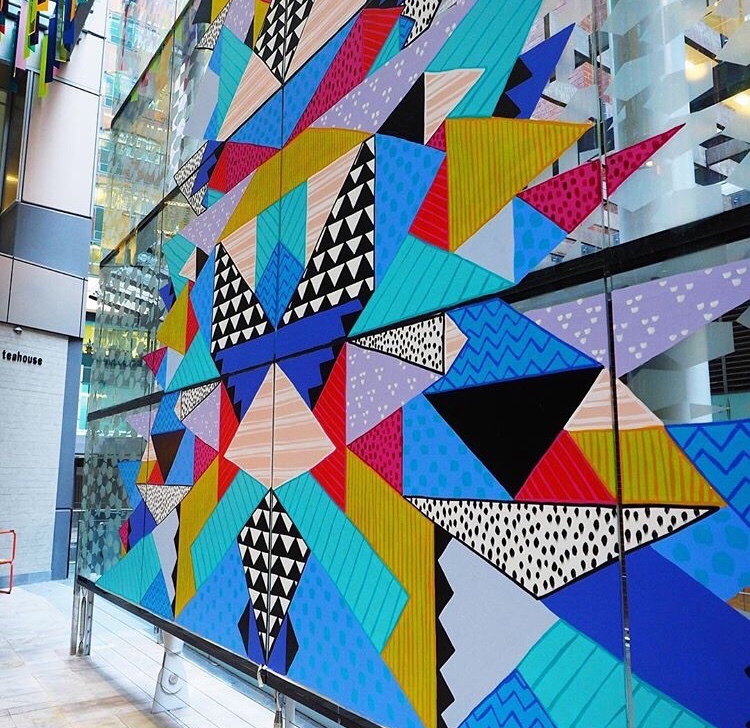 The next piece of art I am buying must definitely be by Anya Block.